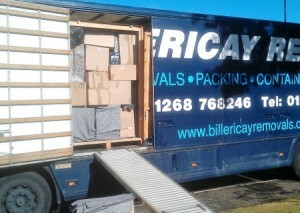 Welcome to the new Billericay Removals website, which will provide our customers with a mobile friendly experience, wherever they are and whatever they are doing. Responsive Design software means that our website is easier to find and exceptionally user friendly, allowing fast, uncomplicated navigation on smartphones, tablets and other devices. As always we offer a comprehensive removals and storage service covering every need to customers in areas of Essex like Billericay, Wickford, Brentwood, South Woodham Ferrers, Chipping Ongar, Rayleigh, Shenfield, Chelmsford. Our long 30 year experience allows us to give a tailored package of services for each requirement whether its for domestic or commercial customers. You can be sure of an efficient, reliable, friendly and economical service from our family run business. Our staff are polite, uniformed and good at their job, so people tell us! Our fine tuned range of services includes help with tick list preparation for your move, along with free no obligation estimates and we can also provide a comprehensive inventory service. Whatever you wish to move be it home contents, large appliances, office equipment, computers, antiques and valuables, we know how they should be effectively wrapped and packaged. Our expertise ensures that your belongings arrive at their destination safely, in one piece and undamaged. We can supply all boxes and packing materials and we use fully equipped pantechnicon removal vehicles. For peace of mind, we have insurance cover of £100,000, that’s double the usual amount offered by our competitors. We offer flexible storage and self storage with clean, dry and secure containers whether it’s for unforeseen circumstances during a move, property content storage while decorating, home decluttering or stock for your business. You can store furniture, motorcycles, household appliances, and a limitless selection of other items. Our storage units are available for short or long hire and are dry, clean and rat and rodent free with state of the art security facilities. You can benefit from the use of our pallet trucks, trolleys and fork lift trucks too. Call us to discuss your requirements on 01277 653866. The Billericay Removals website redesign carried out by Autus Web Design & Marketing, Chelmsford, will allow customers to access our service at home or on the move.